One of the most courageous patriots [and I would submit heroes] in the war against radical Islam is a devout Muslim, Dr. M. Zuhdi Jasser, a former U.S. Navy Lt. Commander. He is founder and president of the "American Islamic Forum for Democracy" [AIFD]. 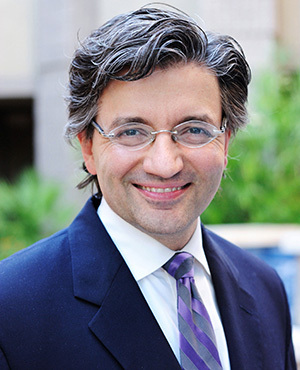 From Dr. Jasser's web site: "A devout Muslim, Dr. Jasser founded AIFD in the wake of the 9/11 attacks on the United States as an effort to provide an American Muslim voice advocating for the preservation of the founding principles of the United States Constitution, liberty and freedom, and the separation of mosque and state." ... "Dr. Jasser earned his medical degree on a U.S. Navy scholarship at the Medical College of Wisconsin in 1992. He served 11 years as a medical officer in the U. S. Navy." ... "He is leading the fight to shake the hold that the Muslim Brotherhood and their network of American Islamist organizations and mosques have on organized Islam in America." Dr. Jasser was a guest on the Fox News Show, "America's Newsroom" with host Bill Hemmer and gave a riveting interview regarding the Orlando terrorist attack and the way to defeat the Islamists. Dr. Jasser said "these are not 'lone wolf' attacks." He said we need to look at the big picture--the threat is theocratic Islam and that is what must be defeated. Dr. Jasser said that the president and Homeland Security must wake up to the Islamist threat and he also said that "we Muslims must come to terms and look in the mirror and recognize that we have to take Islam and defeat the theocrats that dominate our faith." God Bless this great patriot, Dr. M. Zuhdi Jasser! Dr. Jasser is probably under death threat within the radical Islamic community. I applaud his attempts to recapture his religion. Good luck to him, and the people he can influence. Amen, bedfordguy!! I call him courageous.